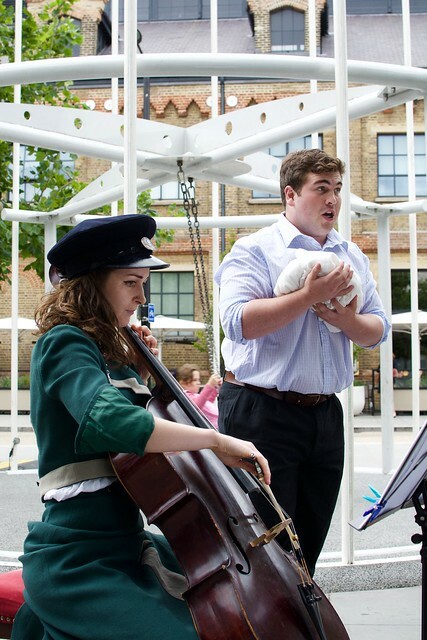 Belongings is a miniature music theatre piece inspired by items of luggage carried by railway passengers. It premiered to acclaim on the Caledonian Sleeper (the first ever opera to be performed on the sleeper train!) leaving Aberdeen en route to Euston station in July this year, as well as across public spaces as part of Tête à Tête: The Opera Festival. You can catch it again en route from London to soundfestival in Aberdeen tonight. There will be a further performance in Aberdeenshire, see here for details. To watch Belongings on the train you will have to be a Caledonian ticket holder available from www.sleeper.scot. Belongings from Tête à Tête #2 on Vimeo.